What’s better than a Tuesday taco? A FREE taco. Every week. Anytime. 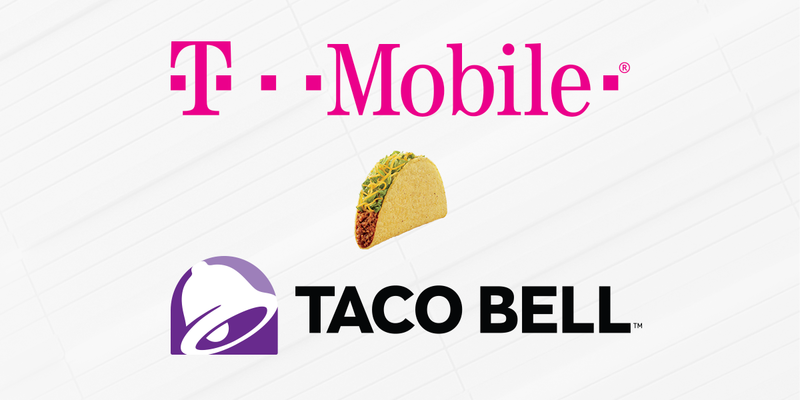 This Super Bowl Sunday, T-Mobile (NASDAQ: TMUS) and Taco Bell announced an exclusive partnership to bring Un-carrier customers free tacos, amping up the uber-popular T-Mobile Tuesdays! Just download the T-Mobile Tuesdays app for iOS or Android to get your free tacos, starting this Tuesday, February 5! Not ‘buy one get one free.’ Not ‘free with a drink purchase.’ No strings. Just free. Just because. Limited time offer; while supplies last. Purchase not required. No cash value. Qualifying service and App required for T-Mobile Tuesdays. Save in the T-Mobile Tuesdays App each week and redeem through the tacobell.com website as a pickup order at participating U.S. Taco Bell locations. Pickup only. Free ta.co account required. Limit 1 offer/person/week. No product or ingredient upgrades. Cannot be combined with other offers; void if transferred, reproduced or copied.